English title translation: HELP for FAMILIES. There is hope for our marriages and our children. The Bible, the greatest book of wisdom and guidance ever written, defines relationships, roles, responsibilities, and rewards for marriages and raising children. 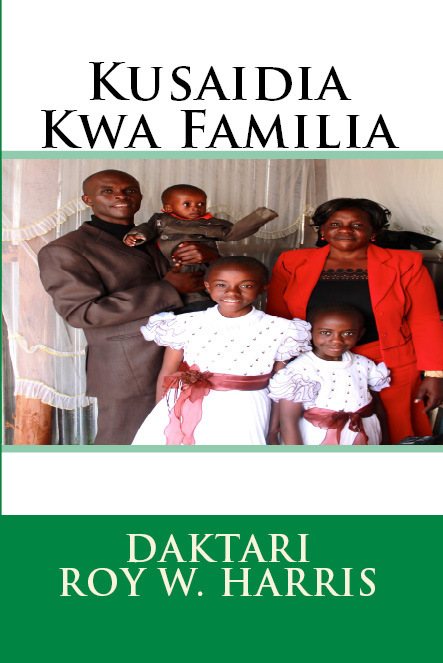 The purpose of this book is to provide practical common sense principles that will strengthen marriages, build up children and create the environment in homes where parents and children build enduring lifelong relationships by understanding who God is and how He can help them. The practical suggestions offered in this book are based on Biblical principles, 40 years of successful marital experience, counseling countless married couples, working closely as a college dean with hundreds of college students, pastoring hundreds of families, raising my two children and now the proud pawpaw of five wonderful grandchildren. Good marriages do not happen by accident; they require hard work. Raising children to honor and respect their parents and give proper place to God and His Word requires constant and consistent efforts by parents. There are no perfect marriages, perfect parents, or perfect children. But there are powerful common sense principles built upon the foundation of the Word of God that can help imperfect people perfect the art of becoming good parents, and raising good children. Read this book with an open mind understanding that it does not have all the answers. Every situation is different because people and families are different. Ask God to help you glean from the book things that will instruct, encourage, and help you work to make your house a home. I’m sure you’ve heard the expression “he’s or she’s a born leader or possibly leaders are made not born”. Well, which is it? Some people seem to be born with a God-given ability to lead others. While sometimes it seems the most unlikely people develop into exceptional leaders. The truth may be somewhere in between. Good leadership probably requires some of both. There are certain personality traits which seem to be present in successful leaders, but good leadership also requires knowledge, experience, and wisdom. There’s a plethora of available leadership resources in the modern world with a variety of approaches to leadership. So why offer another one? What can this author offer that is not already readily available? The author’s purpose in penning the words, which follow, is to provide a practical approach to leadership that rookie and veteran leaders alike can use every day in the office. The book deals with decision making, second guessing past decisions, relationship building, leadership discernment, receiving and giving criticism, communication, delegating responsibility, admonishing or disciplining, and conducting business meetings, and more. The book really is two-books in one. The author wrote the original 12 Chapters on leadership then complimented them by developing a Study Guide as an aid to help the reader better grasp the principles found in these pages. The Study Guide is divided into 12 sections and handily located between chapters. 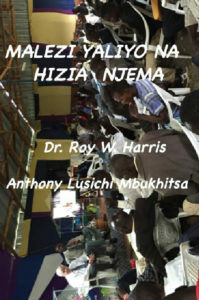 Impact in East Africa God connected us with Dr. Roy Harris in a unique way. Dr. Roy has invested so much in our pastors and leaders. The seeds he planted continue to grow and we’ve seen great changes in the lives of our pastors and church leaders. His skills in the ministry have changed the way our leaders think and do things. They are putting what they received into practice and we are experiencing a great harvest of souls. Dr. Roy continues to mentor me, and my group of leaders. We in turn are mentoring hundreds in our cities and communities. 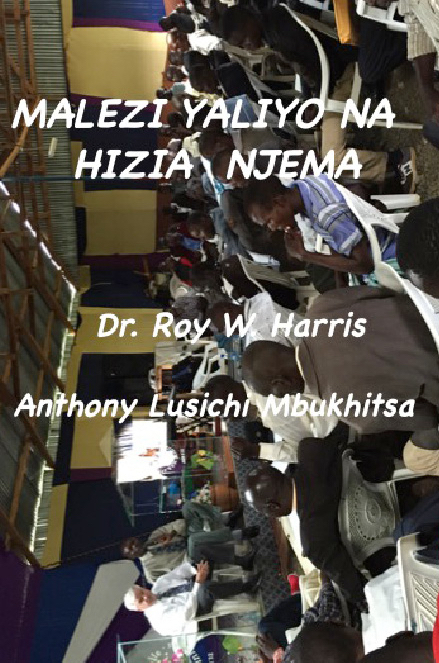 He has trained a large number of pastors in Kenya, Uganda, Tanzania, Rwanda and Burundi. 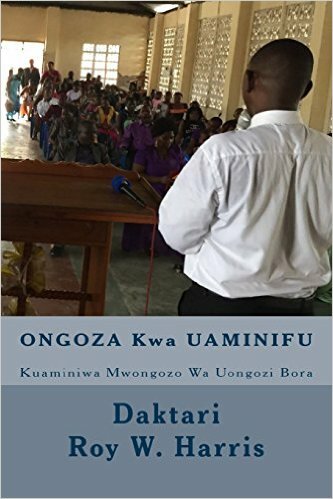 We have recently spread his teachings to The 13 Republic of Congo. We‘ve seen many new healthy churches planted. Since Dr. Roy came to Africa over five years ago, we’ve held several crusades putting into practice his evangelistic message. Through his training and preaching we’ve seen many souls give their lives to Jesus in our communities and cities. Our churches have grown spiritually and also in numbers. His books have helped and empowered many pastors. 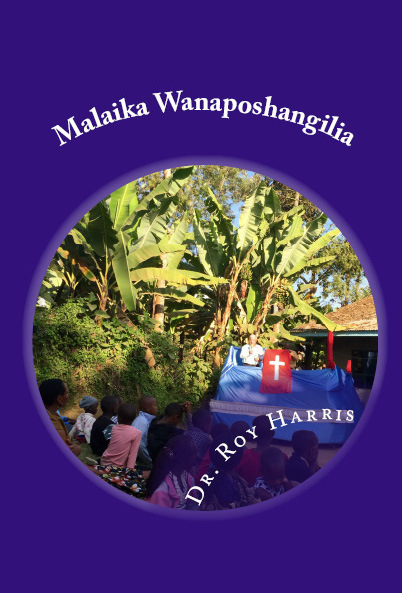 Dr. Roy’s latest book; When Angels Rejoice will be a great tool for our pastors and leaders in sharing the gospel through personal evangelism. Let us pray for this man of God who has a big heart for our pastors and church leaders in Africa. Pray that the Lord may add to him many days and that Dr. Roy will live a long life so that he can continue to equip and empower more pastors. – Bishop Chris Barasa Luswetti pastors in Eldoret, Kenya and is overseer of Word of Life Harvest Church Ministries of East Africa including ministries in Kenya, Uganda, Rwanda, Burundi and The Republic of Congo. Ambayo mkee wake ameyapitia. Nikawaza ,kuna wengine wengi wanao jail ambao wanaitaji kusikia habari hii. Niluifurahia sana nilipo pata habari na pia kitabu ca kwanza cha kujali wanao kutunza. Lilipo ansa tu kukisoma kitabu hicho, nisingeliweza kukiweka chini kitabu hici ni lazima kwa kila anaye watunza wengine, mchungaji, mwenyekiti, mhelekezi, mhudumu wqa Afya,na yeyote Yule anaye hitaji ufahamu zaidi kuhusu jinsi ya kusaidia na kuwatia moyo wanaowatunza. Asande sana ROY Watu wengi watasaidika na kutiwa moyo nna kitabu hichi. – Dr. Stan Toler alitumika kama muhudumu wa jumla kama suparitendant kanisa la NAZAREENI NA KAMA MCUNGAJI WA KULE Ohio, Florida, Tennessee, na pia oklaoma. Dr Tolaer ameviandika vitabu zaidi ya miamoja vikiuzwa zaidi ya miolioni 3 Ulimwenguni. Ufafanuzi mwepesi kuhusu ulezi ni mshauri anayeaminika, na mwalimu kulingana na tafsiri ya oxford. Etimologia wengi wana elezea chanjo cha mlezi, Tabia kwa Horners Odyssey. Aliyekuwa rafika wakutumainiwa wa Odysseus. Neno mlezi, katika karneya sasa, kwanza ilitazamwa katika mapema karne17. Imekipana na marekebisho makubwa miaka kumi iliyopita au saidi na sasa ni kuna lugha na tamko tofauti sinazo Nnenwa ulimwenguni. Hakuna jambo lililo mpya kuhusiana na malezi. Walezi, walilea na watu wakipokea malezi yalianza wakati wa kwanza watu walipoanza kutembea ulimwenguni. 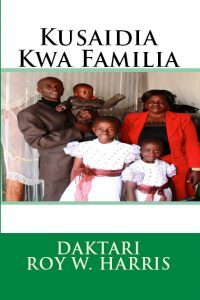 Tabia ya walezi, na njinsi wale walio wanafunzi jinsi wanavyopokea malezi, na mbinu inayochukuliwa na kuelekezwa na walezi wote uchangia ufanisi au kushindwa kuhusiana na mwondoko wa ulezi au mwenendo. Watu wengi ni egezo la kijumla kuhusiana na (ulezi) ambayo watu wengine wanamimina maishani kwa sababu yakile watu walipanda maishani mwako na kudhania kuwa utafanyika. Tuna majukumu kupeana katika hali ya kuongeza ndani ya maisha ya wengine na kuwasaidia wawe watu Mungu alikusaidia wawe. 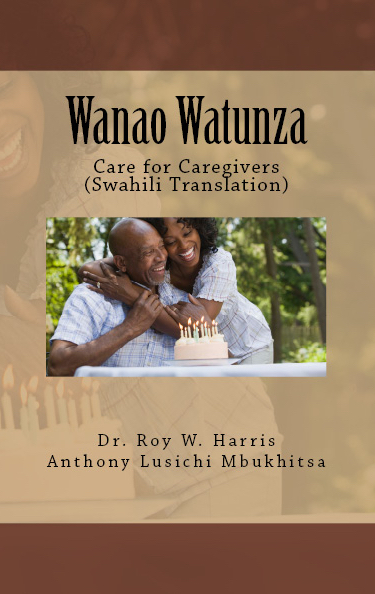 Mwandishi huyu alipeana halihii ya kulea kwa kuwaelekeza wengine na kusababisha mbinu inayofaa kuleta na kufanyika walezi wanao fanikiwa. Kitabu kinachukua mwelekeo ambao mtu yeyote yule anaweza kuelewa na kufahamu hatua kwa hatua katika barabara ya ulezi. Malezi yanaitaji muda wa kuegeza, Talanta, na hasina, lakini matokeo ni pora sana kuliko kuegeza. Malezi ya wakati wote upokee hasa kama sio mengi kuhusiana ulezi kwa wengine hasa wale wanaopokea ulezi. Soma kitabu hiki ukiwa katika hali ya maombi, tamanio la kuegeza katika maisha ya wengine, na kuwa tayari kujifunza, utaweza kushangaa kuhusiana na kile Mungu atafanya na pamoja kukupitia wewe na uguzo wa ajabu utakao wekeza katika maisha yaw engine.